Fun and clever, these quilted cases are for glasses, cutters, notions, and other take-alongs. 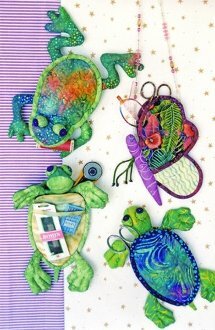 Make the frog, turtle, or butterfly case using simple quilting and doll-making techniques. Pattern includes templates and instructions for all three designs.